If you place a booking order BEFORE 4th AUGUST 2014 for 5 boxes and above, you will be entitled to A BOX FREE. If booking order made, AFTER 4th AUGUST 2014 (upon availability) for 10 boxes and above you will be entitled to A BOX FREE. 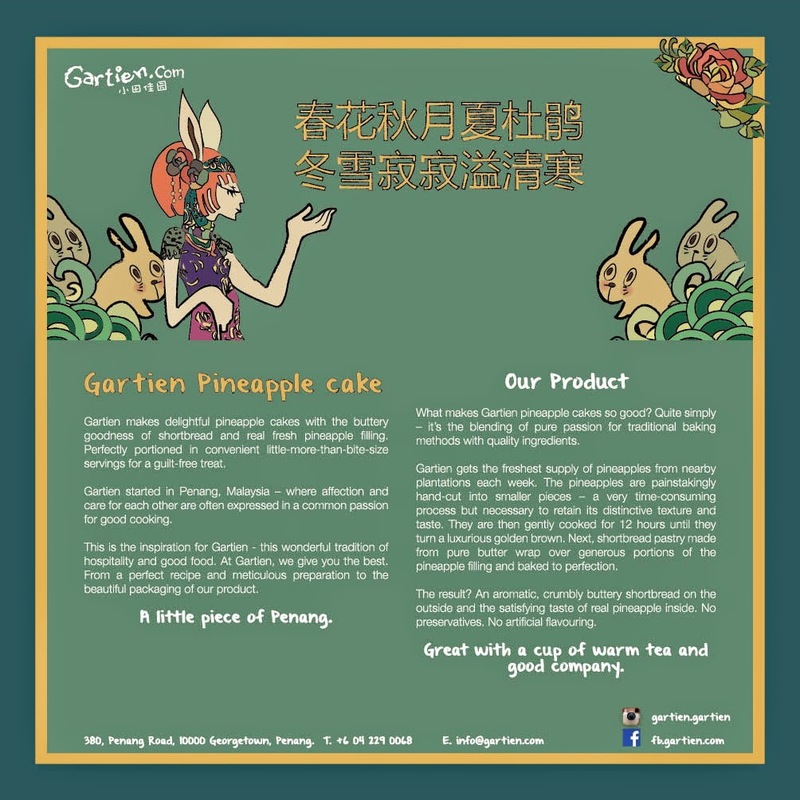 Gartien Mid Autumn Edition Pineapples Cakes interior packaging. 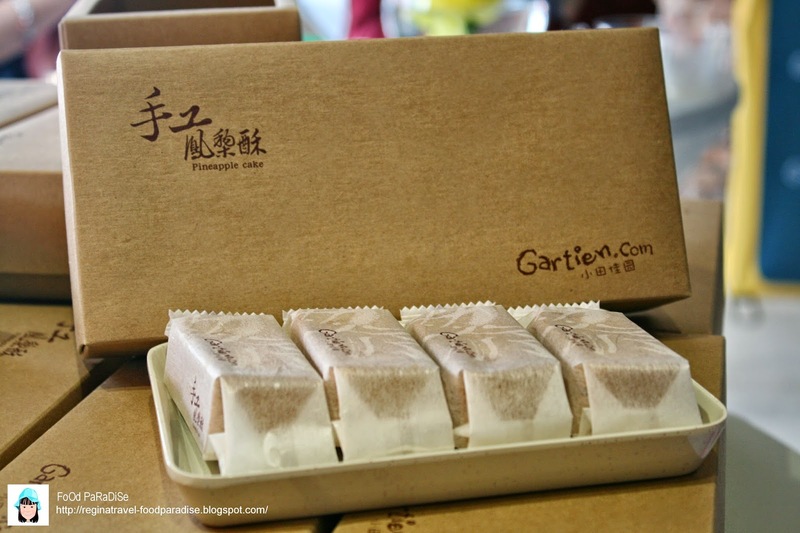 Each box contain 10 pieces of pineapple cakes selling @ RM45/box. If you need a courier service to sent to your door step, they charge RM10 (Delivery within Peninsular Malaysia) and RM40 to all East Malaysia. 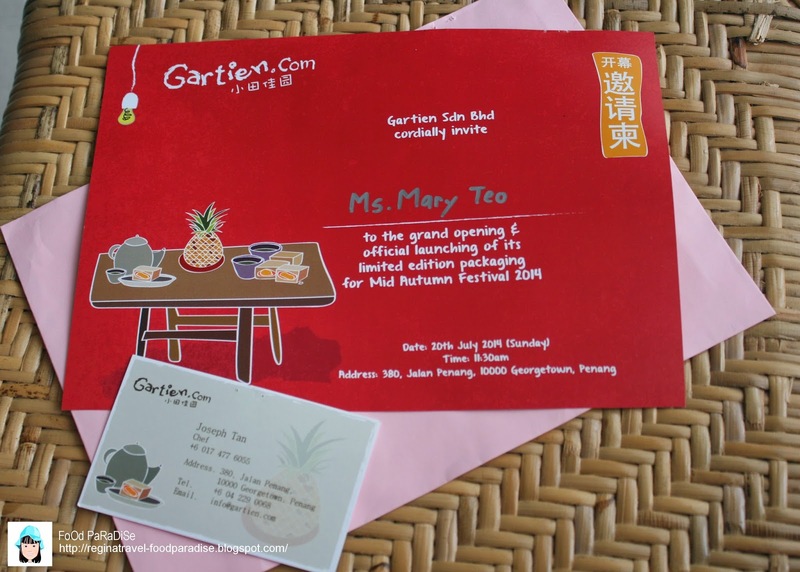 Thanks to Gartien 小田佳园 for the invitation to attend their grand opening and official launching of its limited edition packaging for Mid Autumn Festival 2014. 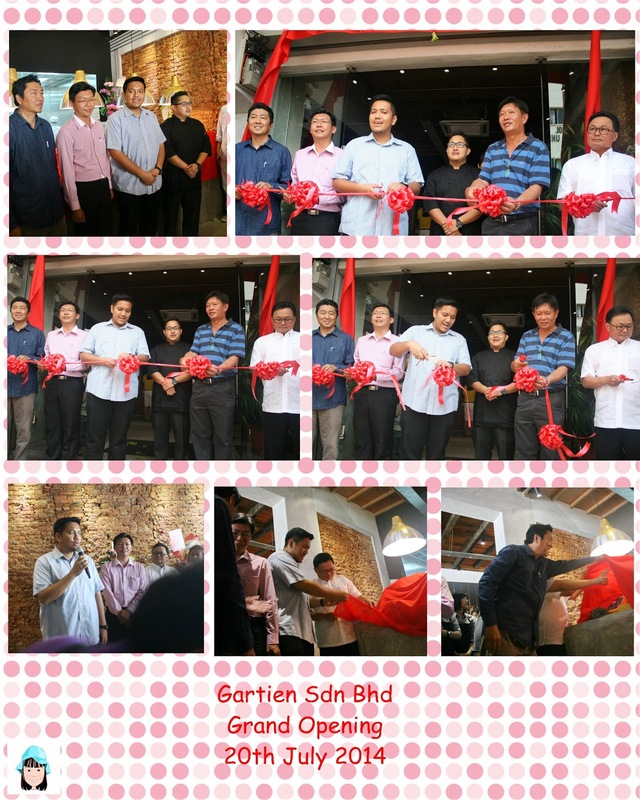 Then proceed with the ribbon-cutting ceremony by YB Dr. Afif bin Nahardin - Pengerusi Pertanian & Industri Asas Tani, Pembangunan Luar Bandar dan Kesihatan, YB Teh Lai Heng - State Assemblyman of KOMTAR, Tuan Haji Ahmad - Pengarah Pertanian Pulau Pinang, Dato Dr. Kenny Ong - Group Executive Chairman of MTT Group of Companies, Mr. Lee See Hai and Joseph Tan - Gartien's Pastry Chef. 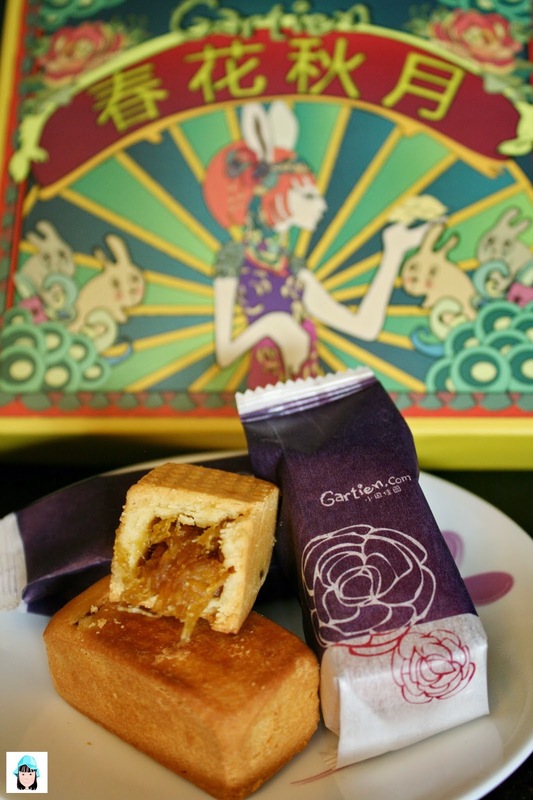 And the launching of its limited edition packaging for Mid Autumn Festival 2014. It has a rich buttery aroma when you unwrap it. I like the way that they have done their pineapple fillings. Every bite had the pineapple textures. 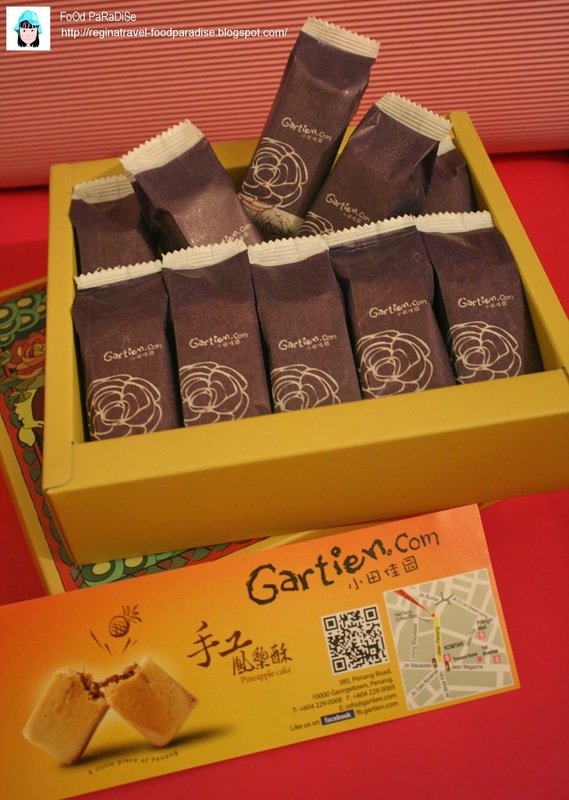 I would suggest tourists can try out the Gartien Pineapple Cakes. 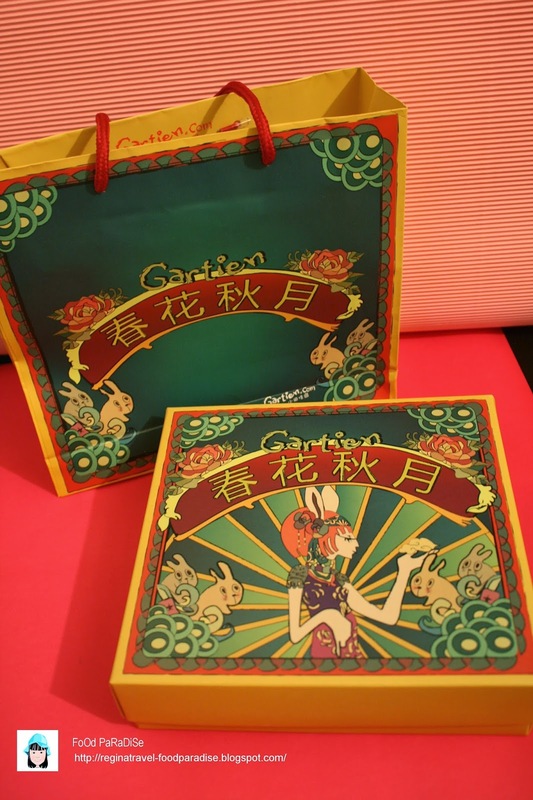 This is another alternative for souvenir to bring home. And it is Penang Made. 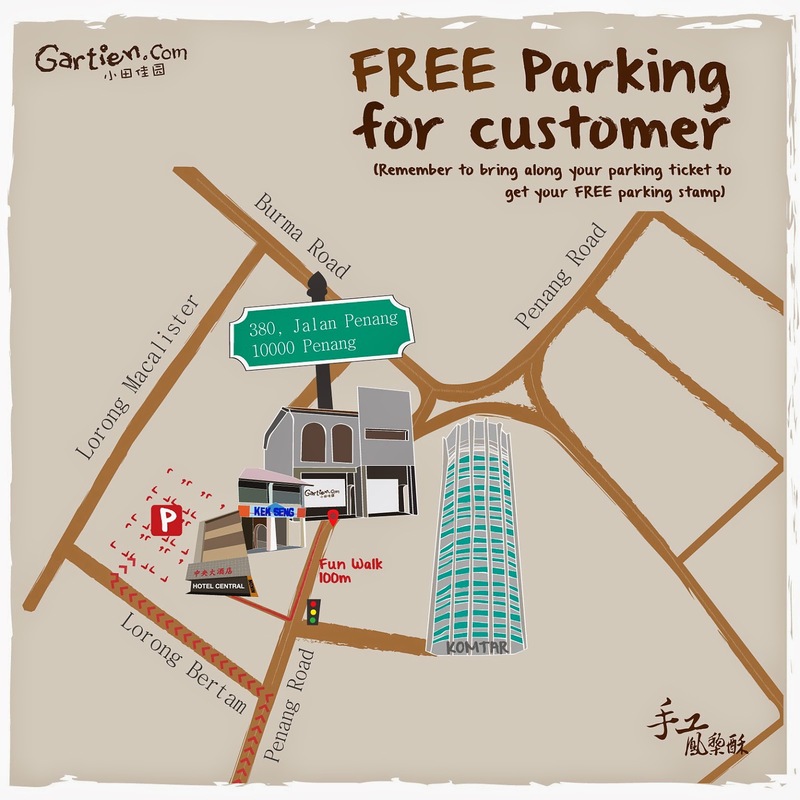 You can park your car at HOTEL CENTRAL car park @ Lorong Bertam. 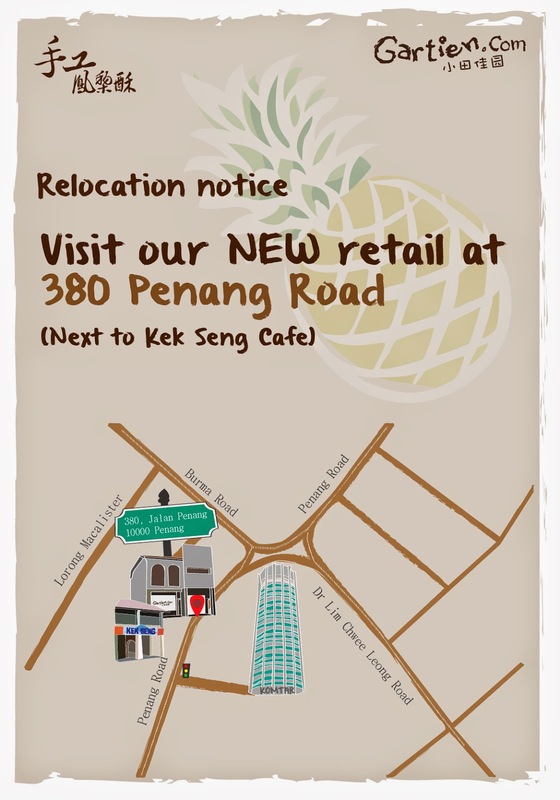 And bring along your parking ticket to get your FREE parking stamp. 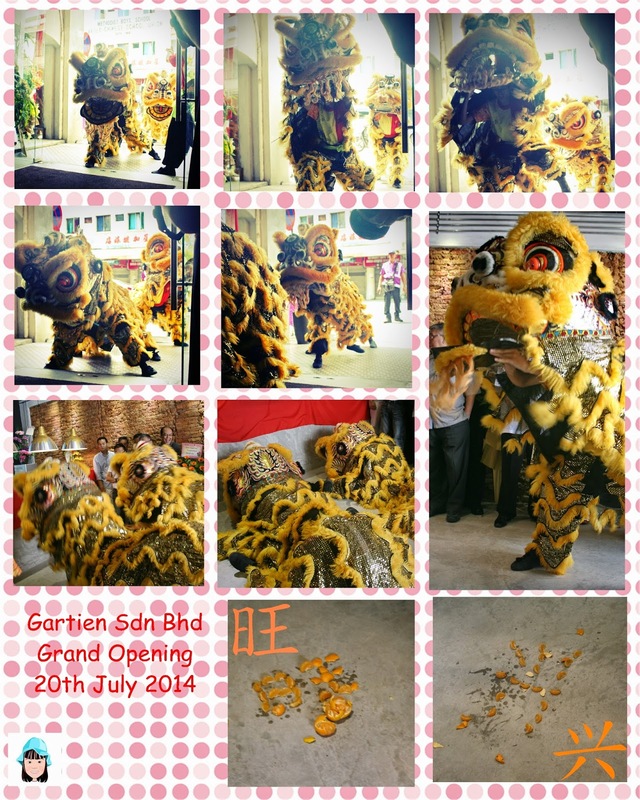 It is just 100m walking distance from the car park to Gartien 小田佳园.